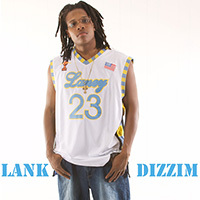 A native of Jacksonville, Florida, Lank Dizzim grew up in the city's Ribault Manor area on the Northwest side. Being mainly influenced by his older brother and the inner city neighborhoods of the 80's and 90's, Hip-Hop quickly became a life altering interest. "I remember my older brother listening to music tapes, and sneaking to listen to gangsta raps and watch music videos" Lank recalls. Influenced by rappers like Chubb Rock, A Tribe Called Quest, Outkast, 2pac, Snopp, and DJ Quick, Lank Dizzim began to sharpen his street swag and define the MC he has become. His older brother "Laf" formed a beat production team with a fellow childhood friend "Pro" and Lank "would write raps in middle and high school with my close childhood friend and classmate, 'J.Co'." Soon after high school, the four formed the Hip-Hop Group "The Prolegend Movement," who would go on to record music and videos. "The Prolegend Movement is a super group of two great producers and four great lyricists." Through The Prolegend Movement, Lank Dizzim released his long awaited and highly anticipated mixtape, Hustlemania, which describes as a culmination of all the frustrations of life, which propel you forward to do extraordinary things even if odds are stacked against you.